Al Gore is making millions of dollars selling his climate change theories. A university-affiliated climate scientist recently sent a letter to President Barack Obama, Attorney General Loretta Lynch and the White House Office of Science and Technology Policy advising the administration to pursue a federal racketeering investigate of those either in the private sector or within the government who work to “undermine climate science.” The letter, was signed by about 20 supporters of Dr. Jagadish Shukla and created an uproar, with accusations that the authors were hoping to criminalize those who question how much humans contribute to climate change. While Dr. Shukla is treated like a patriot by the Obama administration and the climate change supporters, the majority of news media outlets have intentionally or ignorantly failed to cover a story that seems more pertinent than ever. During President Barack Obama’s interview on 60 Minutes he used his actions against the threat of climate change as evidence of his leadership abilities. And the interviewer, Steve Kroft, either let him spout his propaganda without knowledge of a noteworthy development or he intentionally allowed Obama to get over on the ill-informed American public. 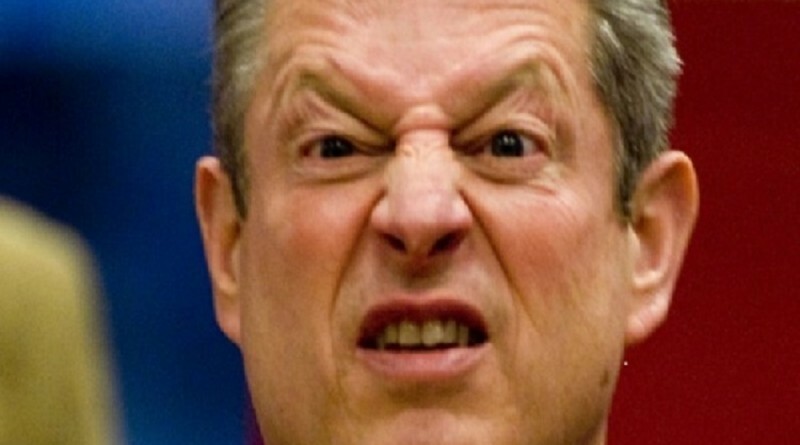 It has been reported that 30,000 scientists, including a top-tier leader of the science community as well as the founder of The Weather Channel, have come forward to sue Al Gore for fraud. Al Gore has made massive profits in the promotion of the global warming mythology, and he played a key role in getting the ‘Cap and Trade’ legislation passed. The man who began the project that eventually served as the basis for a lawsuit, was the late Physicist Frederick Seitz. He served as President of the US National Academy of Sciences and of Rockefeller University in New York City. His awards include the National Medal of Science, the Compton Award, the Franklin Medal, and numerous other awards, including honorary doctorates from 32 Universities around the world. Joining Dr. Seitz was the man who founded what has become a television staple for millions of Americans, The Weather Channel. Now the TWC creator is planning to file another federal lawsuit against former Vice President and failed Presidential candidate, Al Gore. The lawsuit accuses Gore of committing fraud on a grand scale. John Coleman, who founded the cable network during the early 1980’s, believes that suing proponents of global warming, including Al Gore who made a film that won an Oscar, for fraud. He also feels that companies that sell carbon credits should also be sued for capitalizing on fraudulent information. Al Gore has made massive profits in the promotion of the global warming mythology, and he played a key role in getting the ‘Cap and Trade’ legislation passed. Perhaps this lawsuit will finally give the thousands of ‘dissenting’ scientists a voice again. “Is [Al Gore] committing financial fraud? That is the question,” Coleman said in a statement. Coleman became furious when Gore turned down his request to have a televised debate in front of a live audience. “Coleman should be angry. 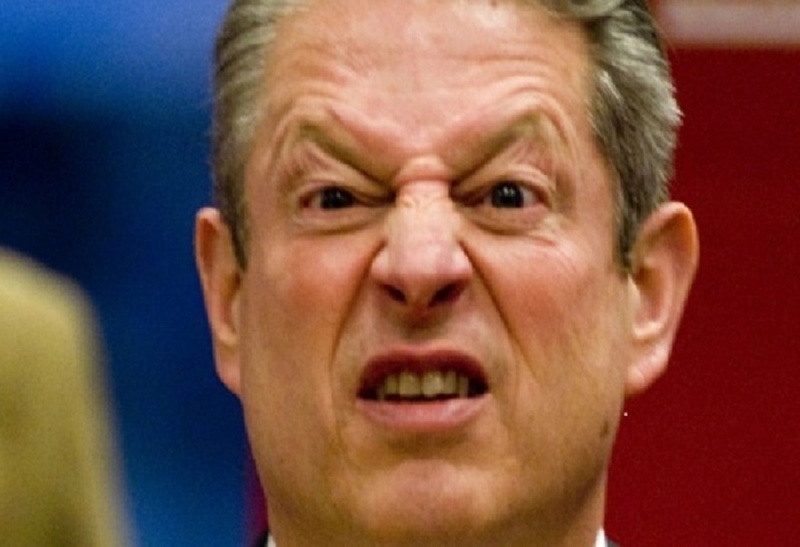 All he wanted was to debate Al Gore on what was originally called ‘global warming’ but now called ‘climate change.’ But Gore will not debate. Al Gore loves to address audiences who are disciples of junk science and who will cheer him on. Gore never liked being challenged and is one of the most vitriolic politicians in Washington,” said Mike Baker, a political strategist. “Also, Gore wants to make certain he doesn’t embarrass his water-carriers in the mainstream news media,” he added. Coleman has often asserted that his theories on the global-warming debate — or no-global warming debate — are being buried in mainstream media circles. “As you look at the atmosphere over the last 25 years, there’s been perhaps a degree of warming, perhaps probably a whole lot less than that, and the last year has been so cold that that’s been erased,” said the super-weatherman. Al Gore, who travels around the world in a private jet, views himself as the high priest in the religion known as global warming or “climate change.” Gore wrote a bestselling book (An Inconvenient Truth) and a film that created more of a stir than it did audience attendance. In fact, the film won an Academy Award for Best Documentary, despite experts finding a number of half-truths and out-and-out fabrications in the film. With millions of dollar pouring into his personal coffers, Gore started his own cable network known as Current TV. However, after only a short time airing mostly liberal-left programming Gore witnessed his television networks declining viewership. He unloaded the station in a controversial sale to the Middle Eastern news giant Al Jazeera, which is owned and operated by the oil-rich Arabs in Qatar. ← In The United States where have all the REAL men gone? This really answered my problem, thankyou!